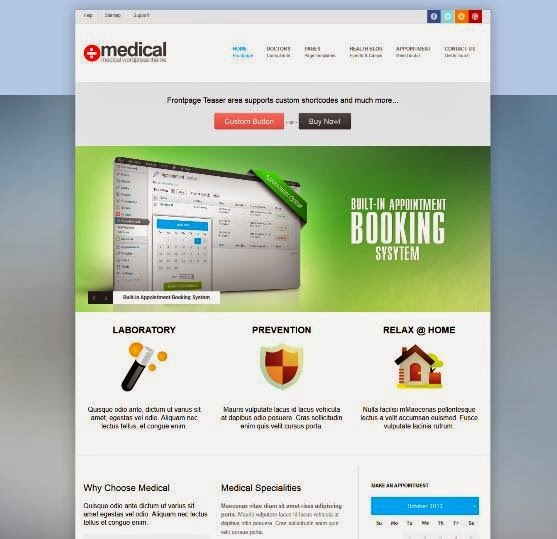 Best collection of health and medical wordpress themes for medical related websites. 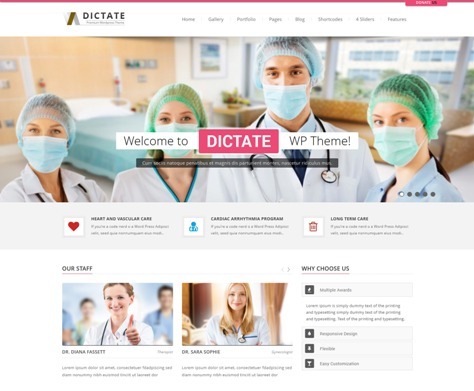 Dictate, the 6-in-one premium WordPress theme, brings you modern design and neat & clean outlook. 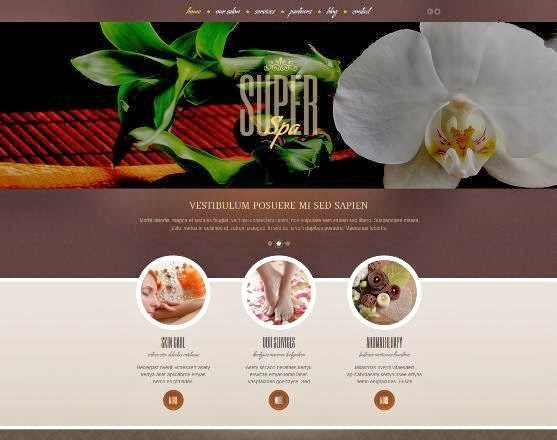 Touching the heights of artistic perfection, this multi-purpose web building tool can be used for six different niches, Medical, Fashion, Spa, Saloon, Business and Blog. 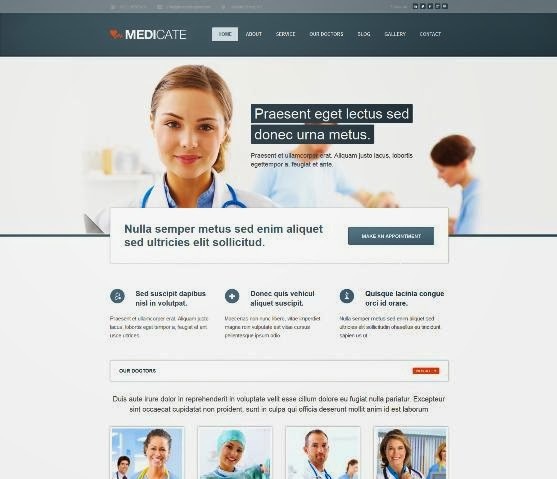 Medicate is a professional health and medical WordPress theme. 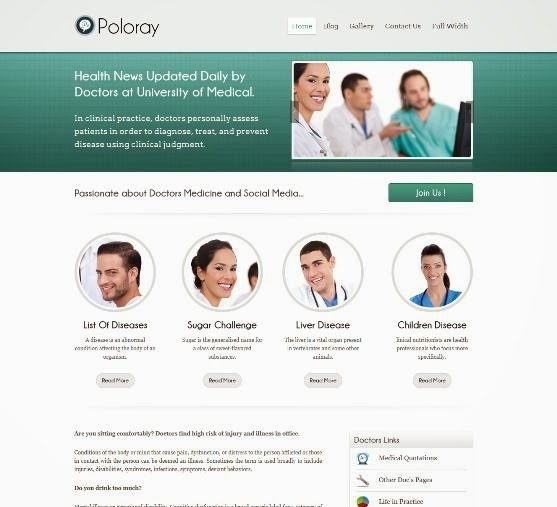 This needle sharp theme is great for doctors, dentists, therapeutic massage, physical therapists, chiropractors, surgeons, hospitals, homeopathic facilities, or any other health related profession. Being a business theme, Medicate had a great services page. This is the perfect way to explain your services, procedures, departments, memberships, and anything else. The grunge design of this theme with the emphasis on image slider and the unusual typography will mark out your tattoo salon among others. Effective slider with the works will have a strong impact on the viewers and inspire them to see more. The dark background with cool splashes sets up a stylish tone. Nicely designed social icons in the footer encourage the visitors to check out your profiles on the web. Back to top button eases the navigation, making it more convenient for the viewers. 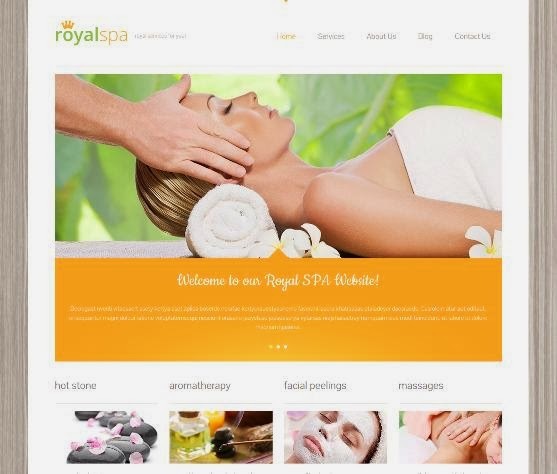 Beauty Salon is a Responsive WordPress Theme. 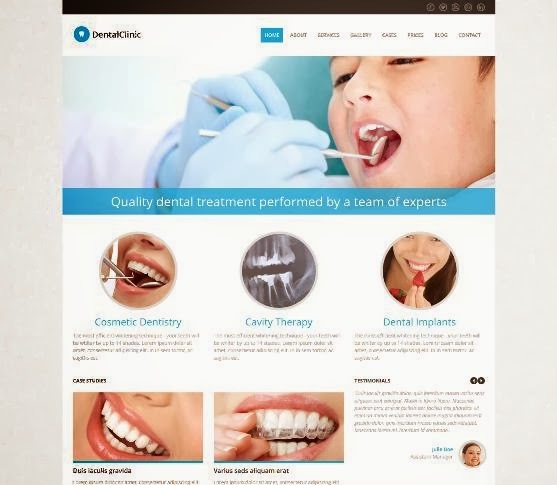 DentalClinic is a fully responsive WordPress theme built with Twitter Bootstrap framework. It’s perfect for dentists, medics, health clinics and hospitals. It looks great on smartphones and tables and comes with 5 predefined color schemes. Inker is a Tattoo Salon Responsive WordPress Theme. Thanks for this useful post! I’ve bookmarked for future reference. 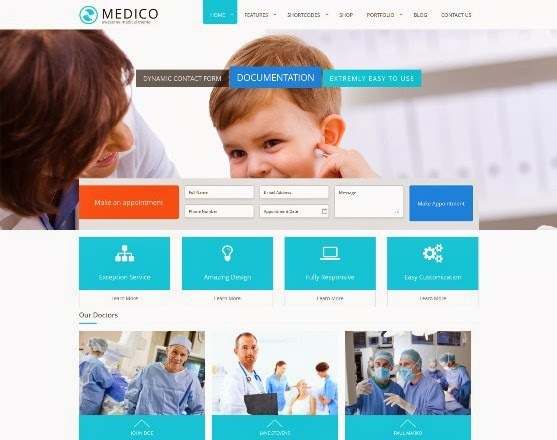 But you can also try imDoct which is also very good medical WP theme.